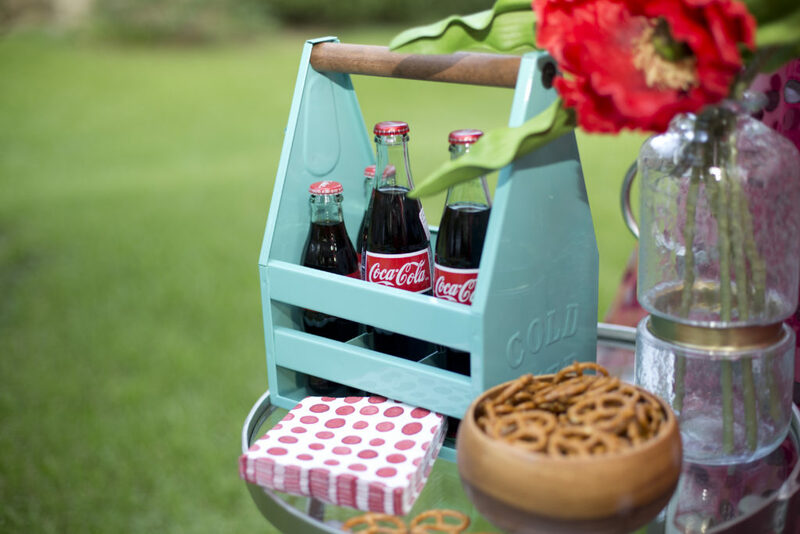 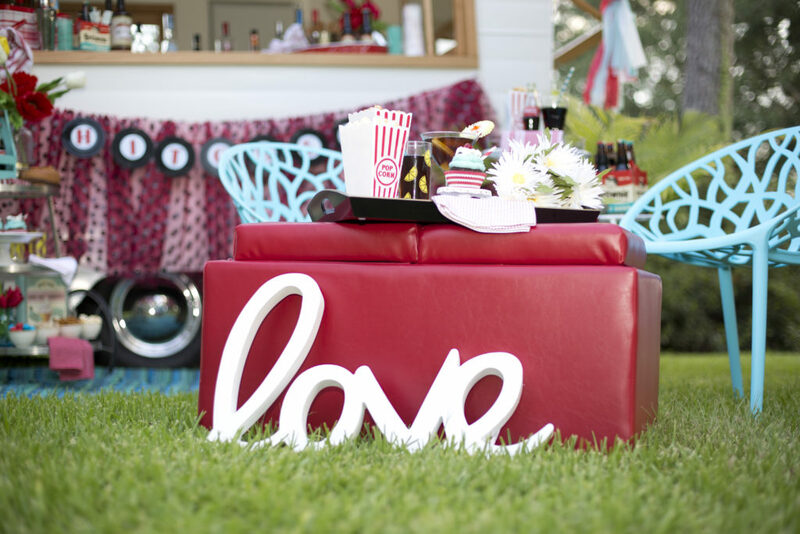 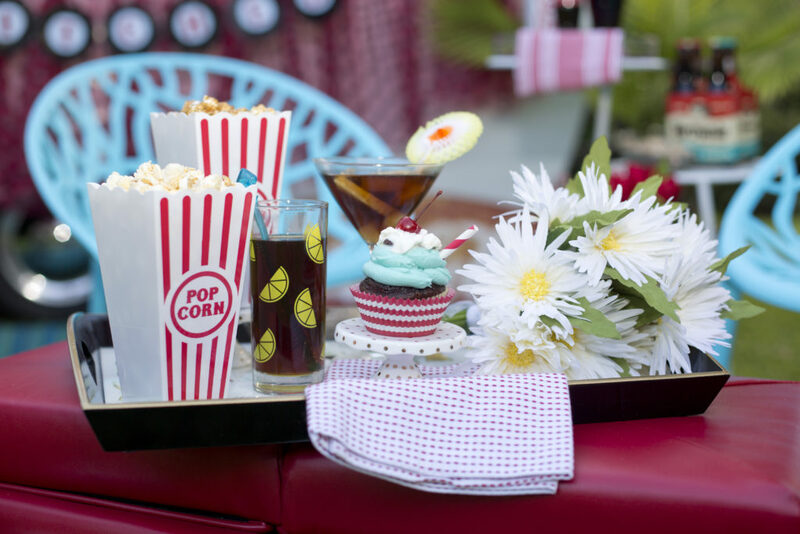 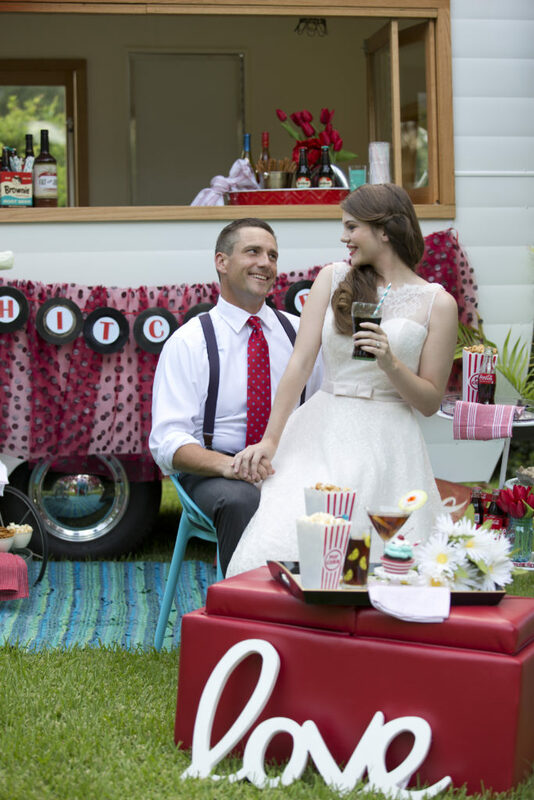 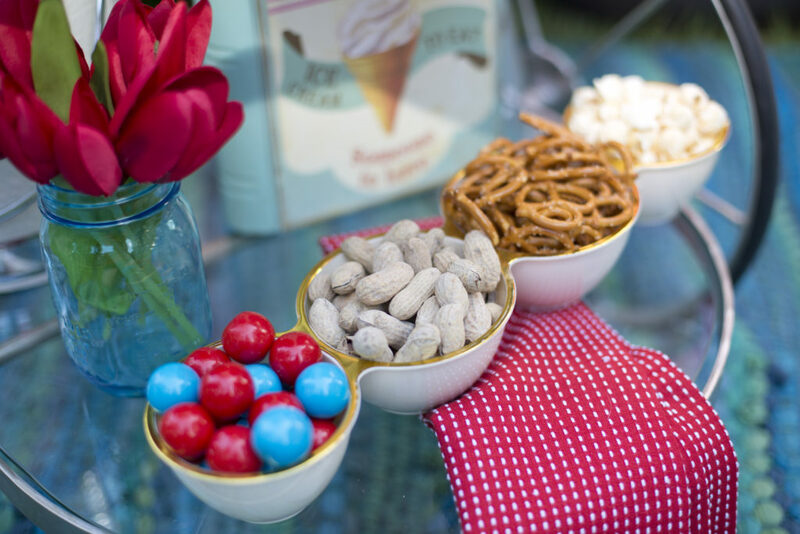 It’s Throwback Thursday, and we’re going back to one of our favorites – all the way back to the Mad Men era that inspired this fun and colorful, summer styled shoot. 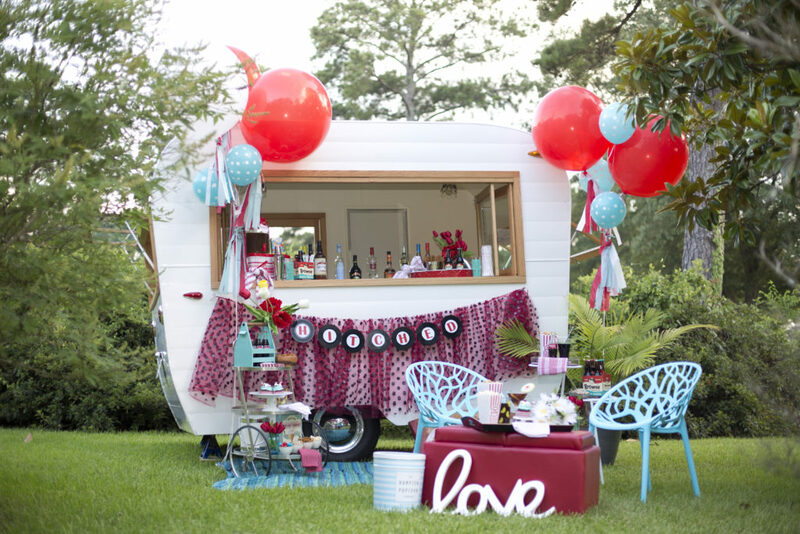 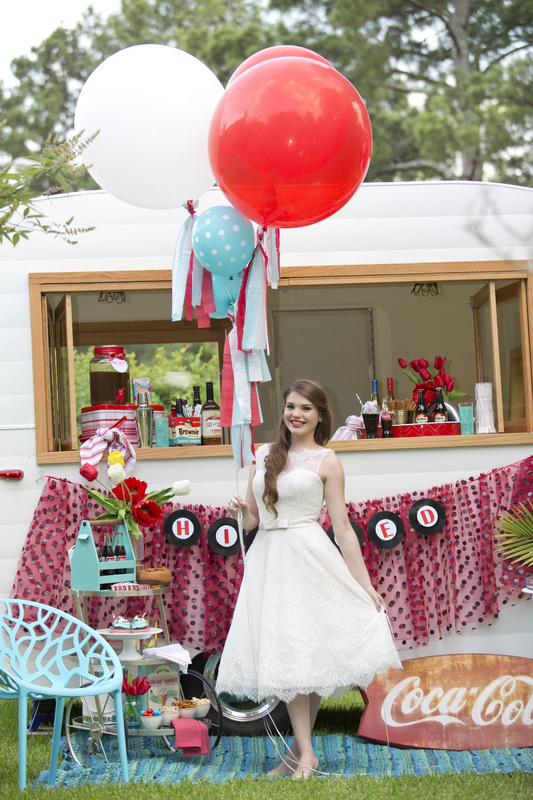 The palette of vintage turquoise and white with pops of red sets the stage for this super fun bar area featuring a vintage travel trailer specifically designed for food and beverage service. 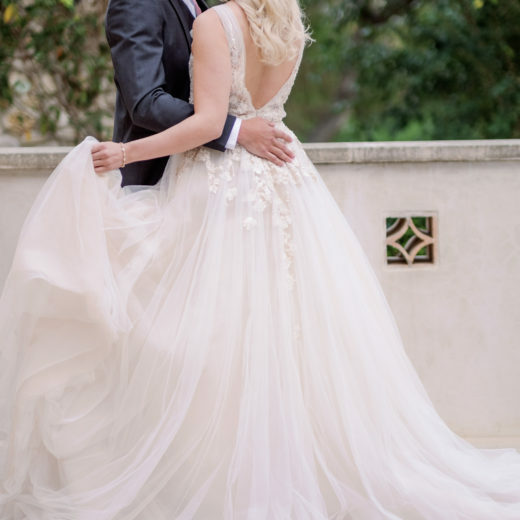 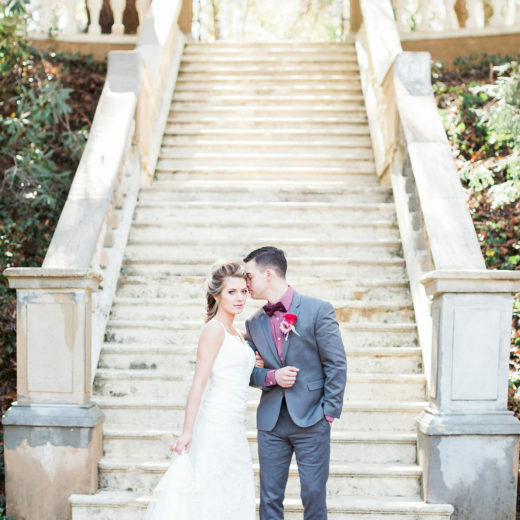 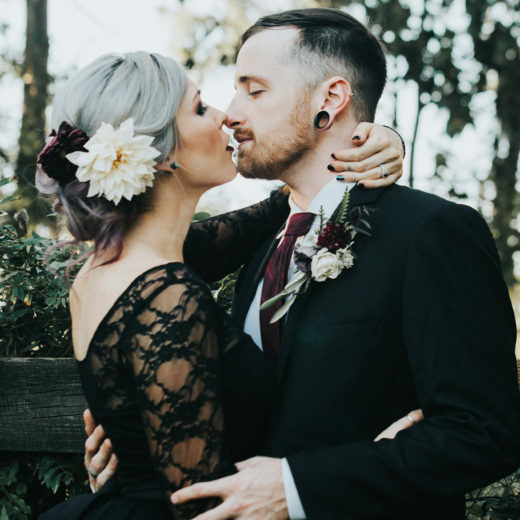 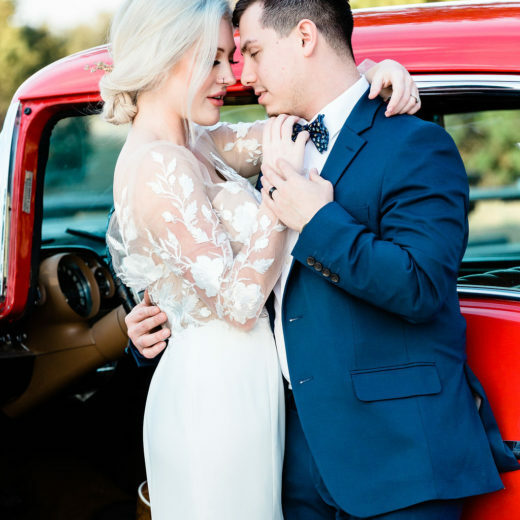 The look practically screams summer, and the relaxed, casual style is perfect for the vintage loving, laid-back bride who wants a no-fuss but memorable event. 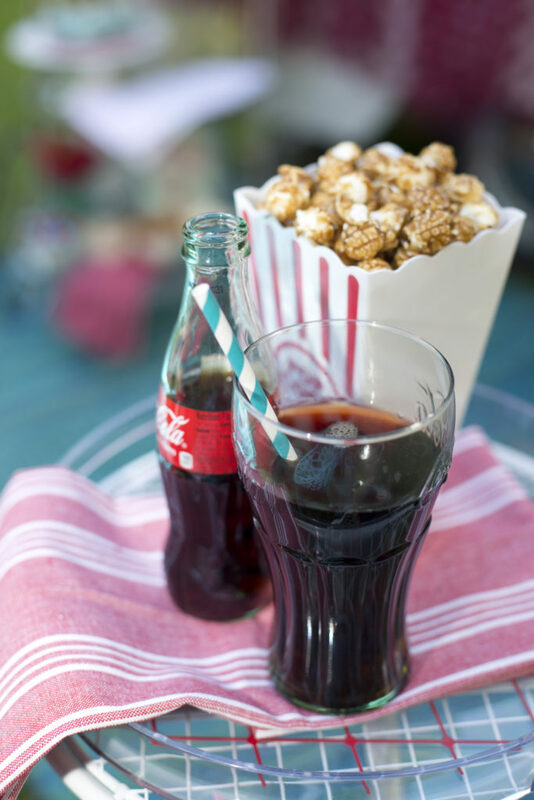 non-alcoholic alternatives with traditional drinks. 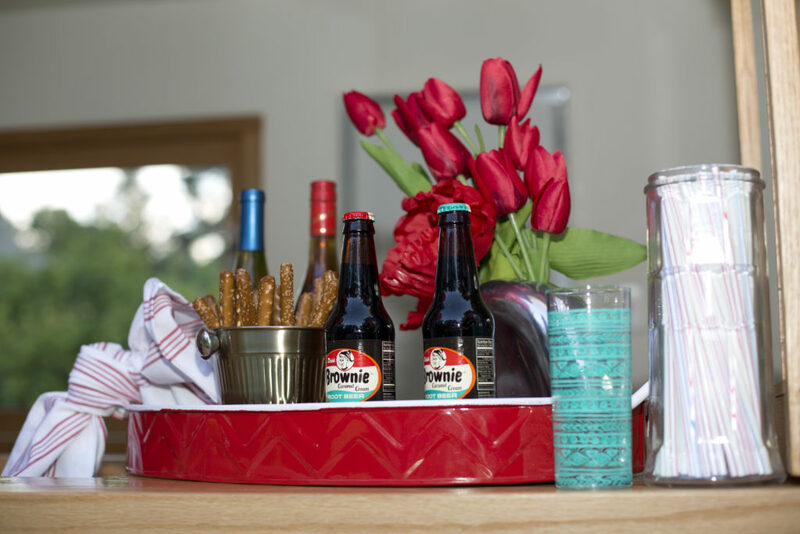 leather ottoman serves as a serving table and offers extra seating. 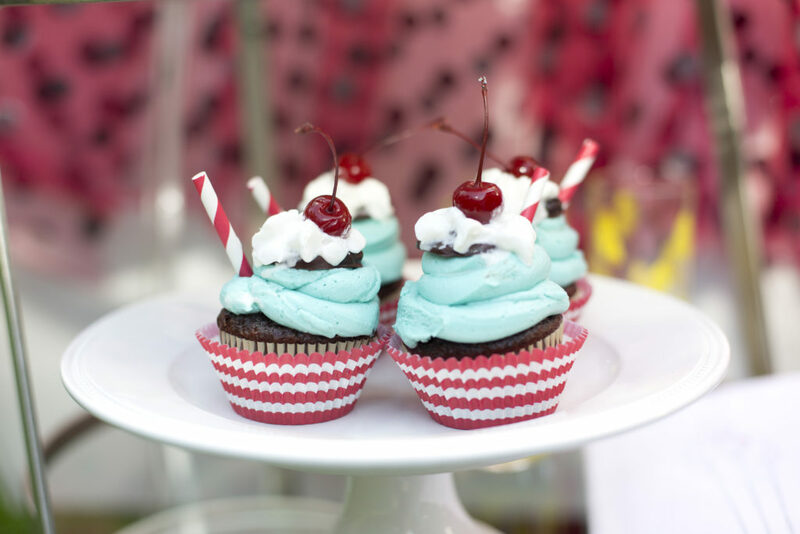 style cupcakes complete with the cherry on top! 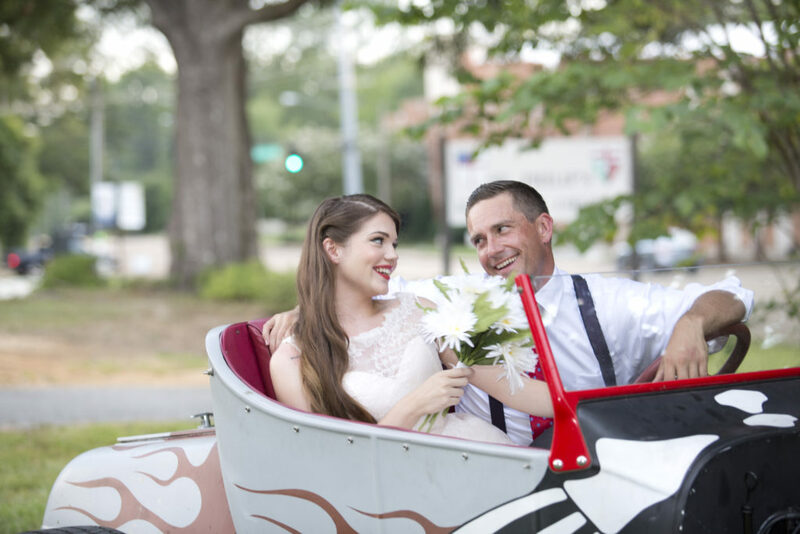 with red flames is the perfect getaway car for this throwback couple.